When I saw these markers being offered in my review group, I instantly thought: I can use those at work. I'm a Starbucks manager in my amazingly boring real life and often we have to create ad boards for new promotions the company has coming up. Recently, I had to create a board for the new Mobile Order and Pay promotion. I used three colors from the set: white, orange and lime green. Though the colors came out nice, it took like two or three layers to make the color really pop. When I tried to edge the green with the orange, the green easily chipped away. This could have been because I put it on too thick or maybe it was the surface of the board. Either way, I had to make sure the colors didn't touch when I realized it peeled so easily. What really lost points for me were the marker tips. They were very spongy and not durable and the white marker had a split in it so it created a gap whenever I used it. After a few uses I can see these tips becoming an annoyance and leaving a splotchy mess all over whatever you use them on. 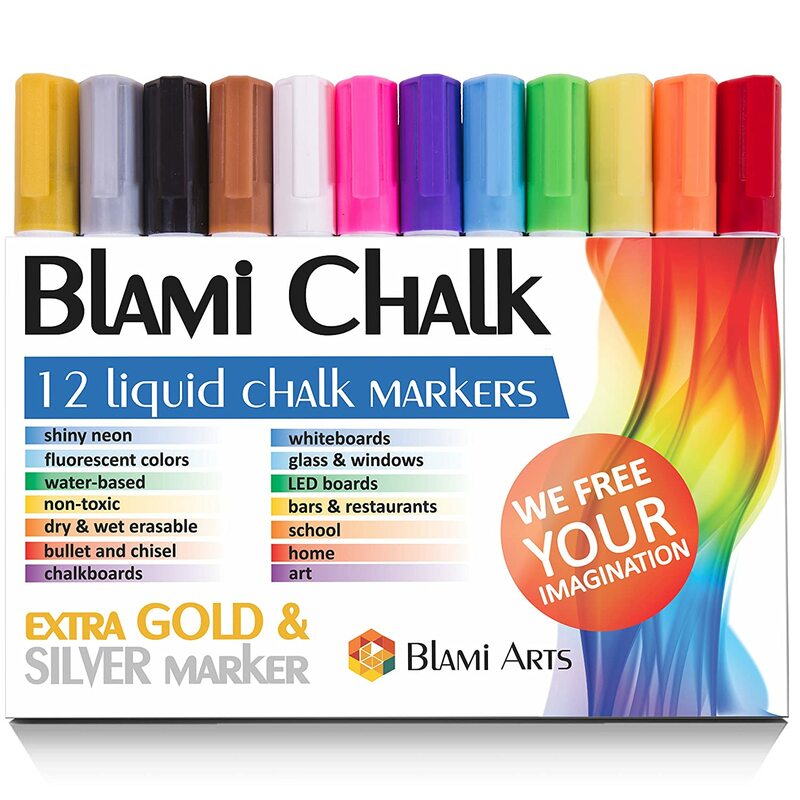 Overall, I like the markers and will continue to use them but I can't say they'd be my first choice of chalk marker.